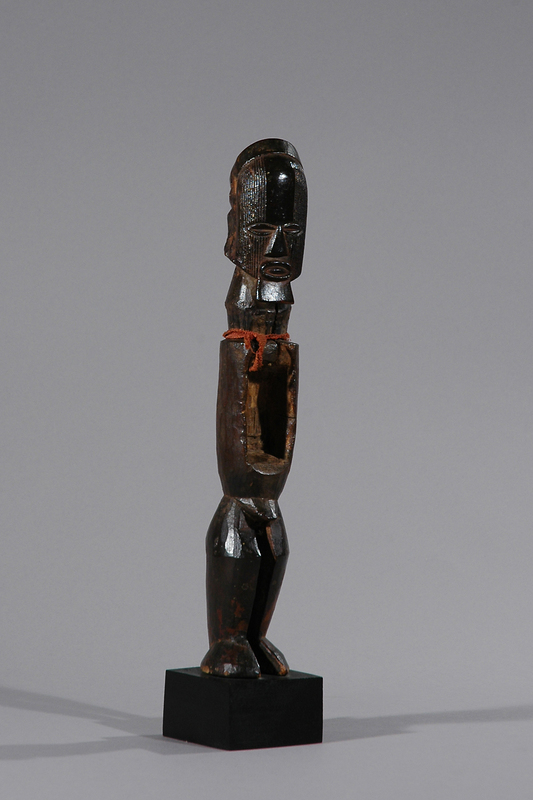 Figures like these are meant to have apotropaic functions and they are carved for several reasons ranging from protection of women to assist a healer during a performance of divination in instances of illness or death. 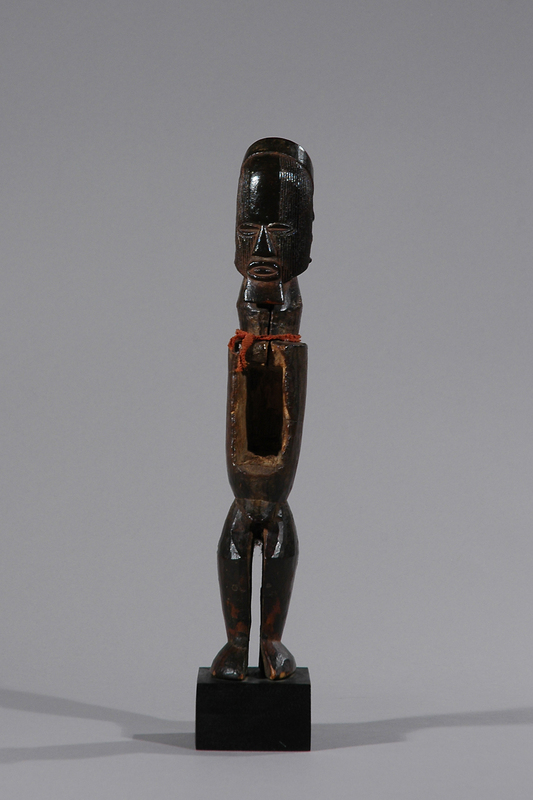 The hollow space was originally filled with a substance of human remains believed to possess a magical power to heal or protect. 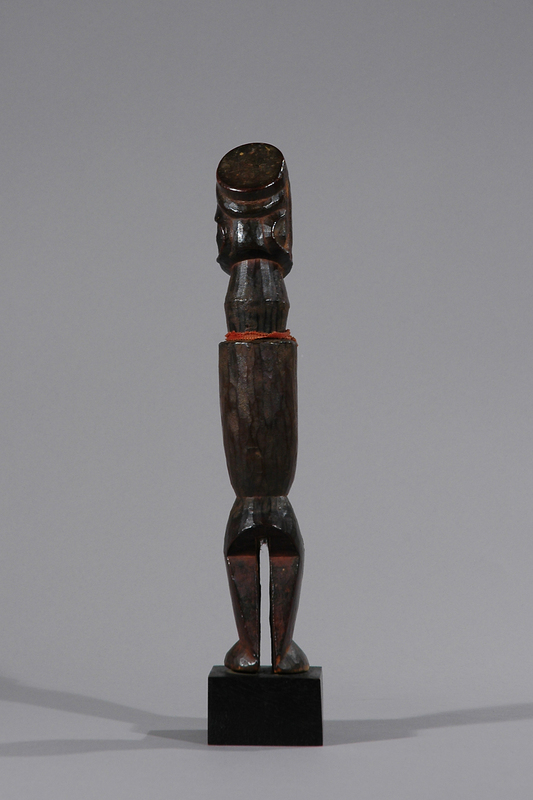 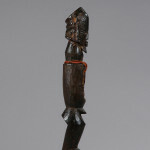 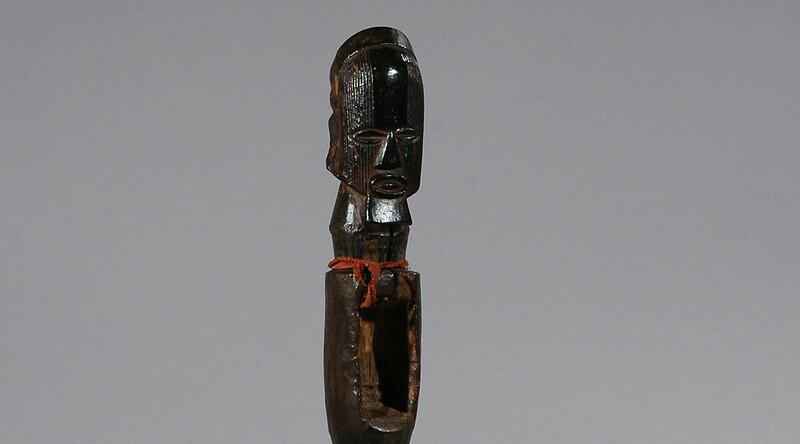 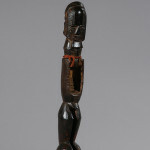 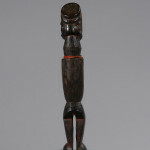 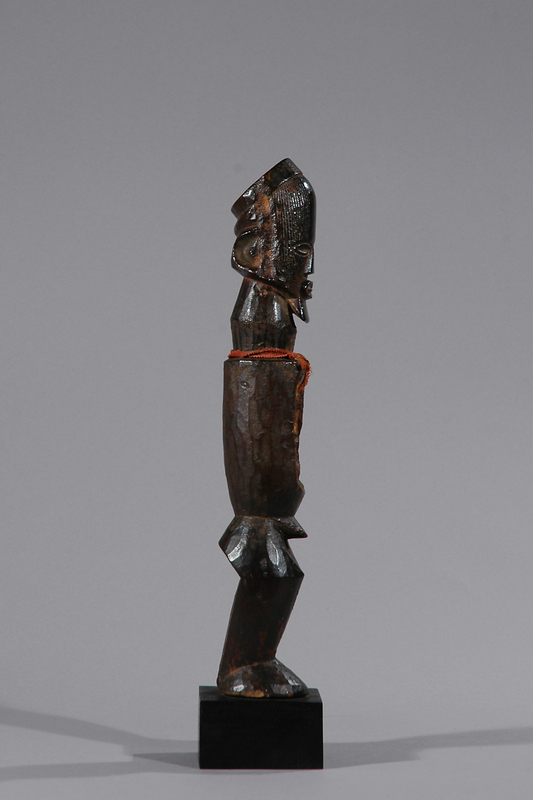 The figures carved by Teke artists are like this example characterized by slightly bent legs, a columnar torso and an enlarged head with typical linear facial scarifications and a trapezoidal beard. 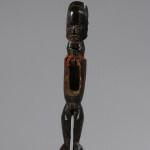 Their height varies from between 15 and 80 cm and these figures can be used either for an individual or for the entire community.